Cook rice in water according to package directions. Drain and cool. Peel kiwifruit and cut into 1/4″ thick slices. 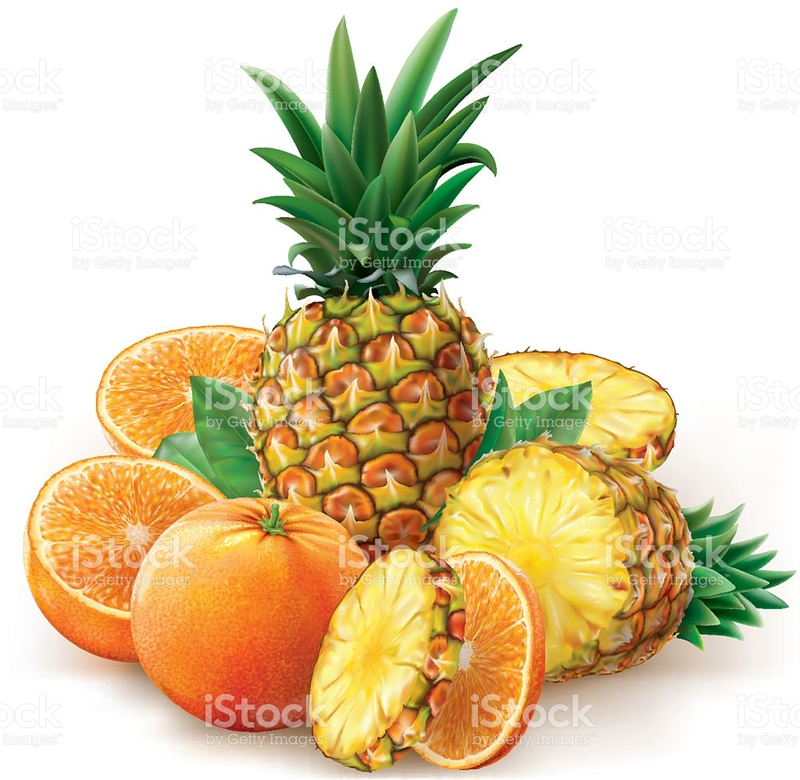 Cut slices in half to form semi circles. Core and dice apple into 1/2″ cubes. 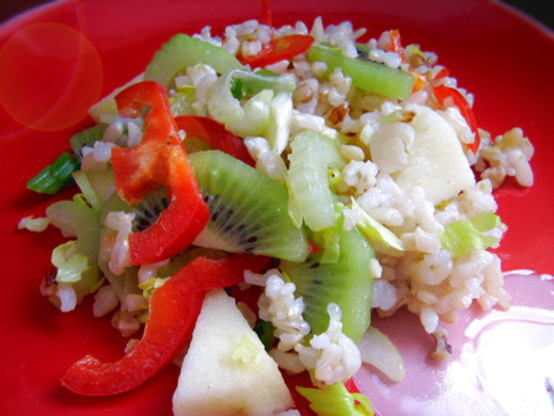 Toss together rice, kiwifruit, apple, celery, red pepper strips, walnuts, green onions and parsley in salad bowl. Mix together vinegar and oil. Drizzle over salad. Toss to mix well. Cover and refrigerate 1-2 hours, to allow flavors to blend, before serving. This recipe comes from a cookbook from the period, The Confederate Receipt Book: A Compilation of Over One Hundred Receipts, Adapted to the Times was printed in 1863 in Richmond, Virginia on polka-dot wallpaper, since regular paper was in short supply. Beat the eggs with the milk, sugar and butter using a whisk. Stir in cooked rice, making sure the rice grains are un-clumped. Heat mixture in a saucepan over medium-low heat, stir frequently with whisk. Mixture will thicken after about 25 minutes. Remove from heat and let cool to room temperature. It can be topped with fruit or a caramel sauce which is traditional. You can make your own caramel sauce by heating 3 tablespoons of butter in a saucepan and stirring in 1/2 cup of sugar and 3 tablespoons of water. The sugar will caramelize and my sweet auntie you made caramel sauce. Note towards the end of the war when sugar was scarce, molasses could have topped it. Or just warm up a jar of caramel ice cream topping. That isn’t lazy after all you just roasted a duck.